Canterwood Condos – Provo Utah are located at 933/935 N University Ave Provo, UT 84604. 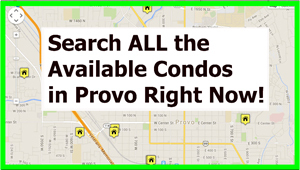 Canterwood Condos – Provo Utah are BYU Approved for Male and Females. Canterwood Condos were built in 1994 and have 16 units. 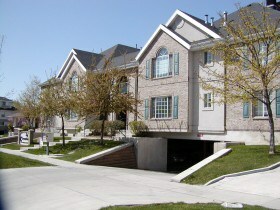 Canterwood has underground parking. It can be an exciting and sometimes overwhelming process to find and purchase a bank foreclosed condo. You want to ensure the condo you purchase is right for you and that you have a seasoned real estate agent to help guide you through the process. Consider hiring Paul Teasdale with Team Teasdale Realty. Paul has been selling condos in the Provo BYU area since 1995. If you are condo hunting, you may want to consider buying a foreclosed condo, also called a real estate owned (REO) property. An REO property is owned by the lender as a result of the previous owner defaulting on the loan. This is also known as a foreclosure property or a bank-owned property. It is difficult to find bank foreclosed condos near BYU. There are many factors to consider when buying a foreclosed condo compared to a traditional condo purchase. REO properties are an affordable housing option, but there are also more things to watch for with this type of condo purchase. The best way to find a foreclosed condo for sale in Provo is to hire a Realtor. A Realtor can help you locate the condos when they first come for sale.